SS. 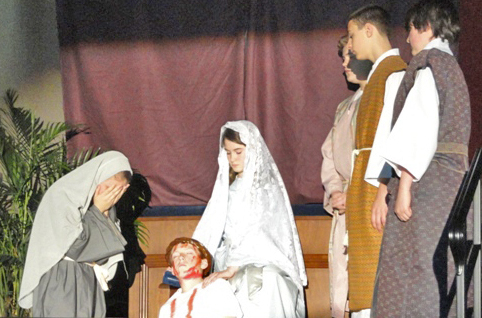 Philip and James School’s eighth grade students performed the Living Stations of the Cross for the school and parish community recently at the school in Exton. The Stations of the Cross are the 15 scenes on which Catholics meditate on the suffering, death and resurrection of Jesus Christ. 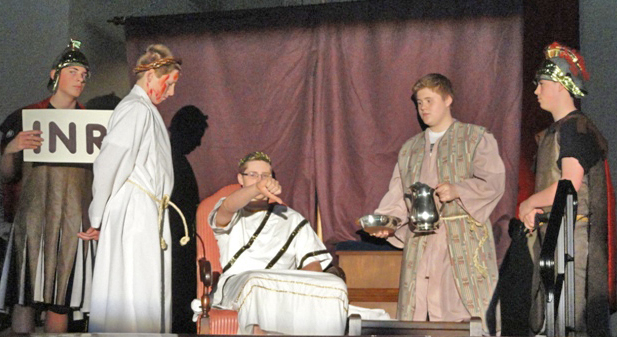 The students portrayed tableaus of three stations at a time as other students narrated the scenes. In between each station, the choir led the congregation in singing “At the Cross Her Station Keeping,” a 13th century hymn about the Stations of the Cross as seen by Mary. The performance was a prayerful way for students, families, parishioners and friends to enter into Holy Week.